Orange County Mayor Teresa Jacobs will provide a briefing regarding Hurricane Irma and an overview on local preparedness and emergency management efforts, including planned response, shelter information and more. 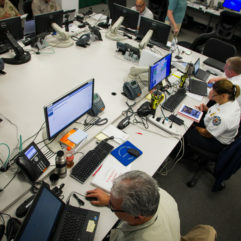 WHEN: Friday, Sept. 8 at 4:30 p.m.
Orange County Emergency Operations Center remains at a Level 2 “partial activation.” More than 100,000 sandbags have been distributed, approximately 5,500 per hour. There will be no sandbag distribution on Saturday, September 9. Garbage, recycling, and yard waste will not be collected for residents of unincorporated Orange County on Monday, Sept. 11. Monday routes will be collected on Tuesday, Sept. 12. Collections will be made one day later for the remainder of the week. Customers whose regular collection day is scheduled for Monday should plan to place garbage, recycling, and yard waste at the curb when conditions are safe for collection on Tuesday. The Orange County Landfill and transfer stations will close at 2 p.m. on Saturday, Sept. 9, and will reopen when conditions are safe. The First Library Budget Public Hearing Meeting scheduled for Monday, Sept. 11 and the Board of County Commissioners Meeting scheduled for Tuesday, Sept. 12 have both been cancelled. Orange County Government will be closed Sunday, Sept. 10 at 12:01 a.m. and will reopen on Tuesday. Orange County will open shelters for the general population, including pet-friendly shelters beginning tomorrow morning, Saturday Sept. 9 at 9 a.m. A list of shelters is enclosed. Additional shelters will be announced, as needed. Orange County will also open PSN, “Persons with Special Needs” shelter. Individuals who have registered for a PSN shelter will be contacted with the location information of the shelter that they have been assigned, along with information on transportation assistance if needed. 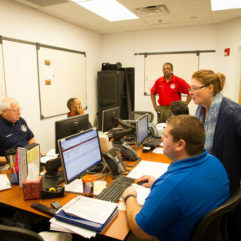 When planning to stay in a shelter, individuals are asked to bring an emergency supply kit, a pillow and blanket, toiletries, important papers and medications, snacks, water, flashlight and other essential personal items. These items should last individuals for at least 72 hours. 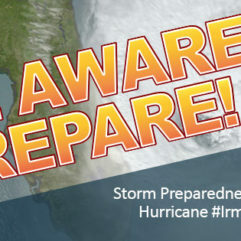 For a list of what to bring with you when you evacuate and the latest information on Hurricane Irma’s impact to Orange County, please visit www.ocfl.net/irma. 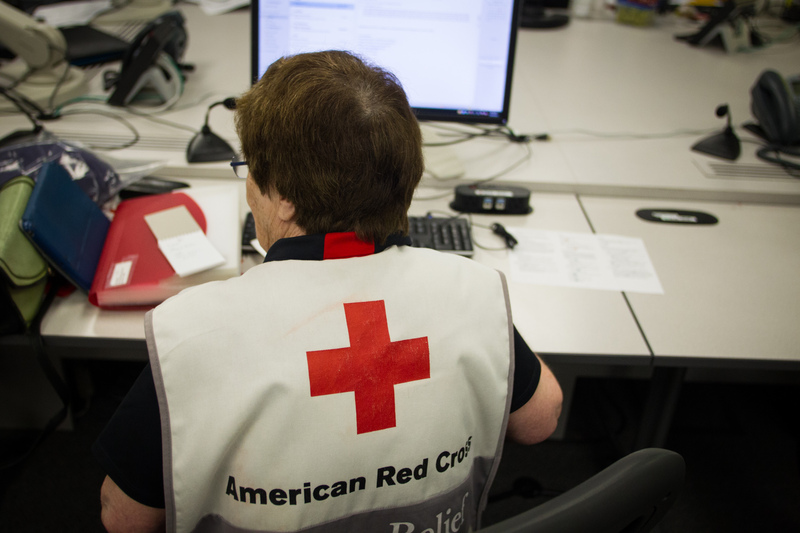 General Shelters: All Orange County shelters follow the practices and procedures established by the American Red Cross (ARC); all shelter workers and volunteers are trained by the ARC. At Orange County’s general population shelters, individuals are asked to complete an informational registration form, but no identification is required. For individuals participating in a state registry, appropriate shelters are available; staff and volunteers can help direct individuals as necessary. Please note that shelters are alcohol, drug and weapon free zones. Pet-Friendly Shelters: Ensure pet vaccinations are current and consider microchipping pets if not already done so to ensure you can find pets in the event you are separated. Have a copy of your pet’s medical records, which should be included in your “Pet Disaster Kit.” Arrange for a safe place to stay that permits pets and research places that are pet-friendly. (Note – animals are not allowed in Red Cross Shelters, except for service animals, so you may want to stay with a friend or relative, or motel/hotel that is pet-friendly.) If possible, PLEASE do not leave pets behind during an evacuation or emergency. With pending serious weather, bring all house pets inside. Apopka High School 555 Martin St.
Colonial High School 6100 Oleander Dr.
Memorial Middle School 2220 29th St.
Odyssey Middle School 9290 Lee Vista Blvd. West Orange High School 1625 Beulah Rd. Barnett Park Community Center 4801 W. Colonial Dr.
Bithlo Community Center 18501 Washington Ave.